Most sailors dream of building their own boat. What would it look like? How would it sail? What crazy appendages could I add? Very few ever realize this dream. One group of engineering students, however, has built two C-Class catamarans before most graduated college. 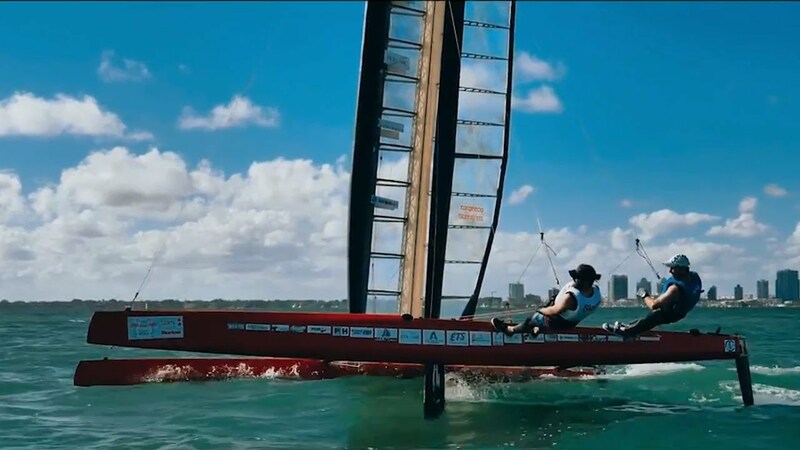 Hailing from the École de Technologie supérieure in Montreal, this group traveled to Miami this spring to put their second generation C-Cat through the paces at The Foiling Week regatta. Meet the team behind the Rafale project. Learn more about Rafale II and the team’s future plans.